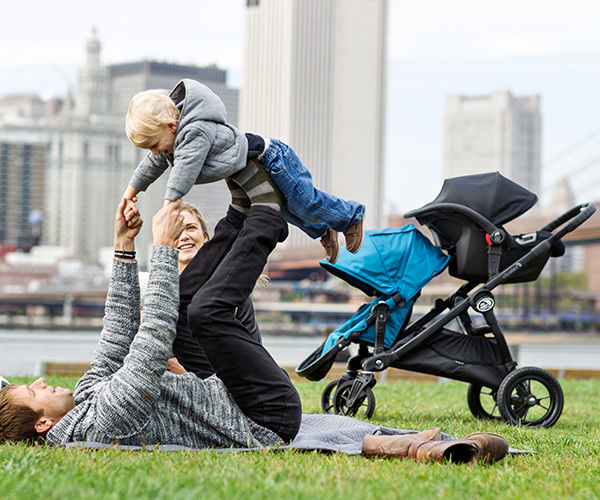 Baby Jogger City Select - the pram that transforms with your growing family! 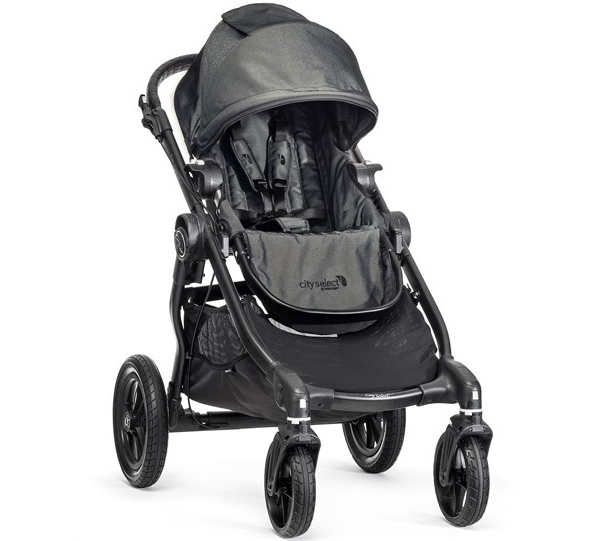 Baby Jogger City Select – the pram that transforms with your growing family! 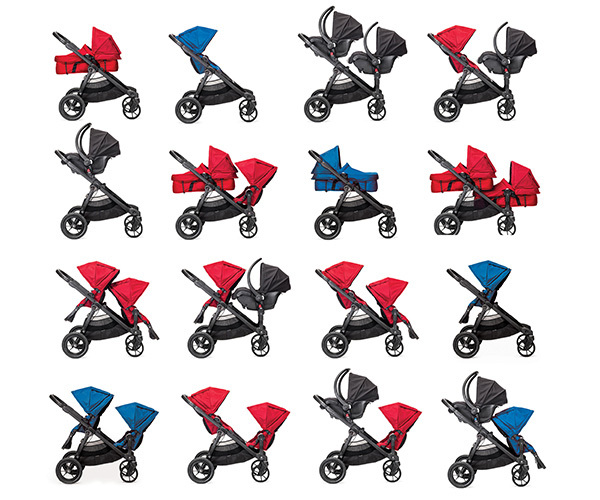 If ever there was a pram that ticked all the boxes for superior adaptability, a roaring cheer and ticker tape parade would be given for the Baby Jogger City Select. It morphs into a complete travel system and with over 16 possible seating configurations, it’s fair to say this pram has you covered from the get-go. There’s nothing this ride shies away from – it welcomes one, two, even three passengers, keeping your growing family rolling! Great for both small and large families, the Baby Jogger City Select is hands down the most versatile pram on the market today. It’s a pram that transforms from carrying just one of your precious cargo, to two children as a double stroller, and even three children with the Glider Board. As mentioned earlier, there are over 16 seating options from front facing, parent facing, sibling facing and everything in between, including two car seats or two bassinets. Baby Jogger City Select attachments are key to configuring the pram to meet your needs. Build yourself a travel system by using Car Seat Adapters (they accommodate several brands of car restraint seats) so you can shift baby from car to pram without any disruption (no having to wake the baby!). A Bassinet Kit is also available for ferrying the newest of passengers and is super cosy for naps. The Second Seat Kit turns your single pram into a double with ease and the Glider Board is super handy for tired toddlers to hitch a fun ride and save their weary legs. There’s also plenty on offer to make the pram pusher happy – such as a Parent Console and drink holder. All accessories are sold separately, so you can buy just what you want and nothing that you don’t. Perfect! Prepare to be impressed by Baby Jogger City Select’s specs – each seat has a 20 kilogram weight capacity, and is available in four timeless colours – black, red, charcoal and teal. The generously sized SPF50+ canopy is adjustable to allow for seating changes, and so is the footwell. Take advantage of the multiple reclining positions in both forward and rear facing, and large 12 and eight inch tyres for optimum manoeuvrability ensure a smooth ride. 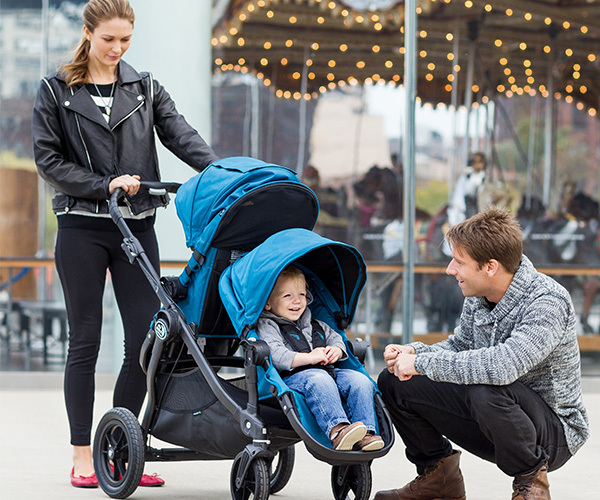 As if that’s not enough to wow you, Baby Jogger City Select even cleverly folds itself, leaving no wrangling a chassis in the car park or at the bus stop – just a confident day out. For more information and to find a stockist near you, head on over to Baby Jogger.